A recent decision from the Connecticut Supreme Court garnered nationwide attention when it determined that a seventeen year old girl was not capable of directing the course of her medical treatment for Hodgkin’s lymphoma. 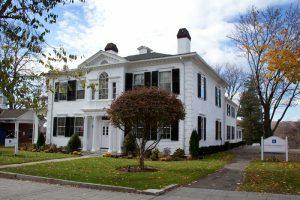 Chief Justice Rogers of the Connecticut Supreme Court, stated that the girl did not present evidence that she was mature enough to make a decision to forego chemotherapy, at least for the next few months until her eighteenth birthday. That case involves a seventeen year old girl placed in the custody of the State and forced to undergo chemotherapy for Hodgkin’s lymphoma against her wishes and those of her mother. When the girl did not showup to her chemotherapy appointments, the State removed Cassandra from her mother’s custody and Cassandra’s mother was found to have committed parental medical neglect. Cassandra’s doctors believe she has an 85 percent chance of survival with chemotherapy, while without such treatment her survival is likely limited to two years – leading most to believe that this is the right decision for the girl. While most coverage of this case has focused on Cassandra’s right (or lack thereof) to make determinations about her own medical treatment, another weighty issue that this decision raises is the frightening implication that, while adult parents are afforded the right to refuse medical treatment for themselves, their decisions to refuse medical treatment for their children are not necessarily protected. The right to refuse medical treatment has been recognized by the United States Supreme Court in Cruzan v. Director, Missouri Department of Health. The Connecticut Supreme Court ruled a few years later, in Stamford Hospital v. Vega, that there exists a common law right to self-determination, including the right to refuse medical treatment for competent adults, even when that determination includes refusal of treatment to sustain life. Until 18, children are not considered “competent adults” for purposes of making such self-determinations, which are vested until such time in the child’s parent(s) or guardian(s). While most can agree that the likelihood of life and death in Cassandra’s circumstances with and without chemotherapy make this decision a straightforward one, the question it raises about the protection of medical determinations made by parents for their children – in light of recently controversial topics such as aid in dying, abortion, and vaccinations – may have parents, legislators, judiciary and even doctors coming down on both sides of this unresolved and “case-by-case” issue. If you would like more information about this case or if you have questions about these important decisions, the attorneys at Cramer and Anderson are here to help you navigate this complicated area. 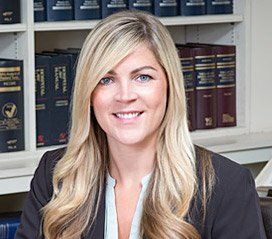 Attorney Abigail Miranda, who practices in the family law area is available to answer questions about this case or any issue that may affect your family, whether you are involved with the Department of Children and families or in a custody matter.